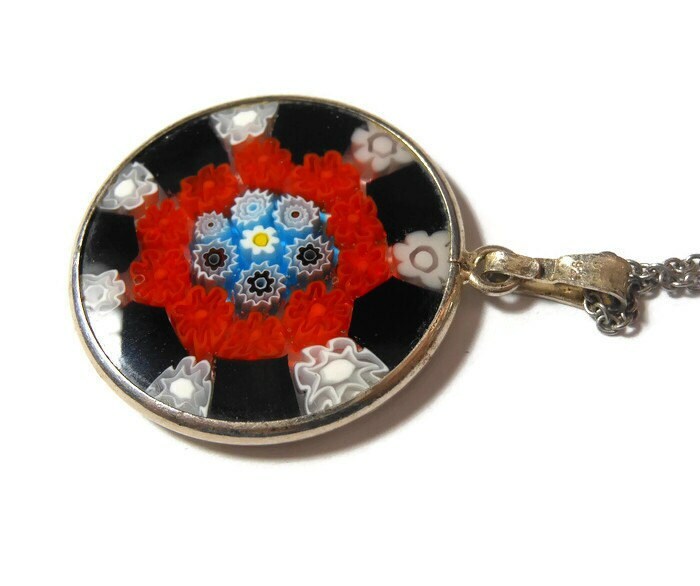 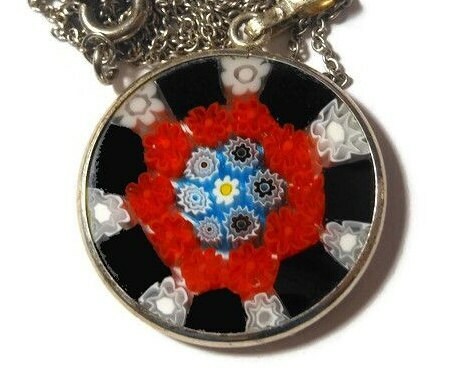 Millefiori glass pendant, 25mm round red, black, blue, yellow white disc on sterling silver chain marked 925 Italy on bail, 925 on clasp. 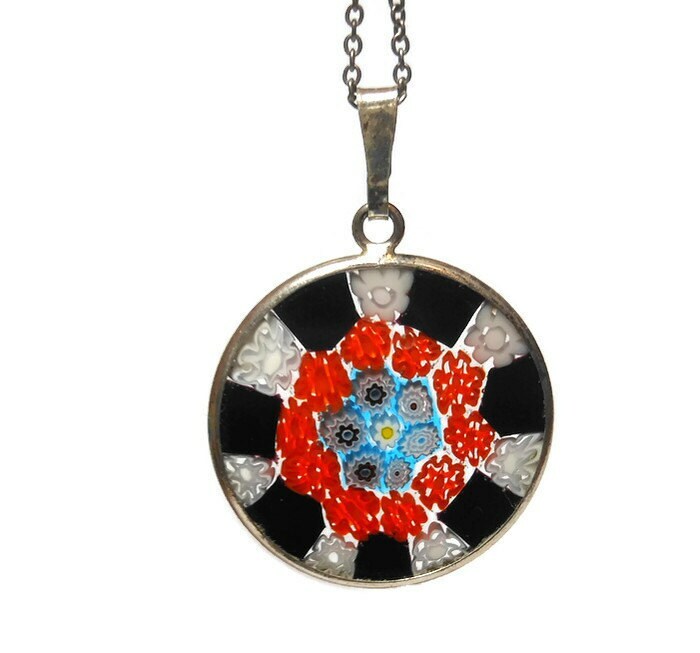 Made with solid color glass, which means the base color of the glass is saturated throughout the object and will not fade or rub off over time. 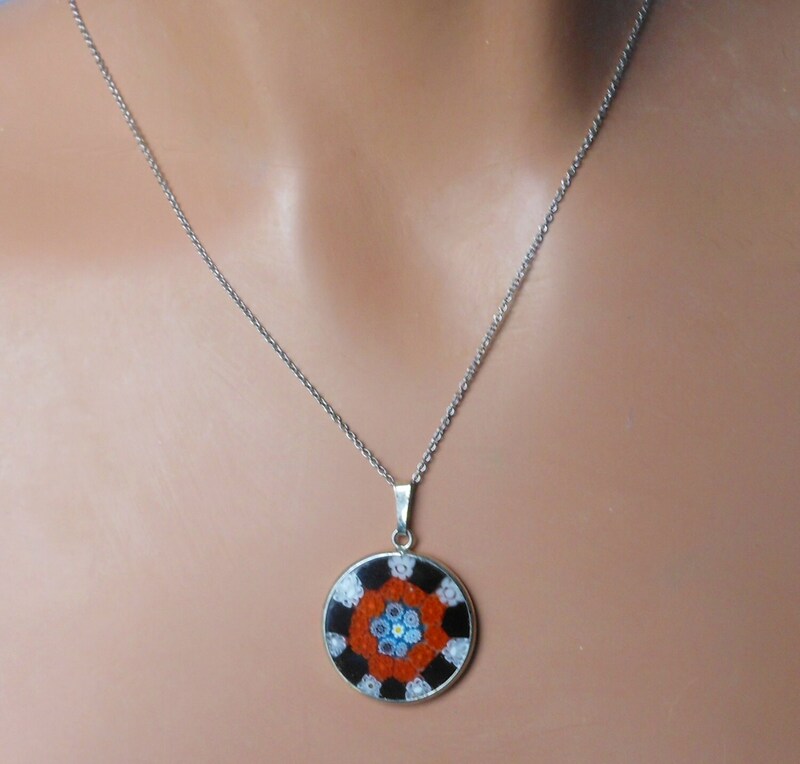 The pendant measures approximately 1" (2.5 cm) diameter without the bail. 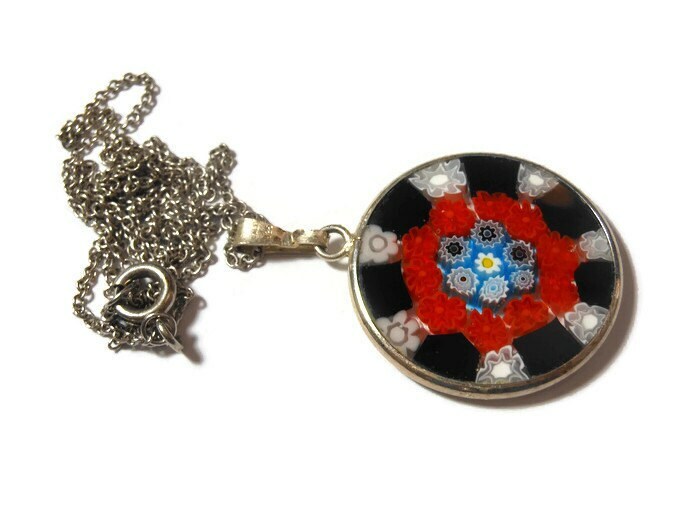 The necklace measures 18" (45.7 cm) without the clasp.